This list contains only movies which were released in the cinemas, and all have been subsequently released on videocassette and/or DVD. 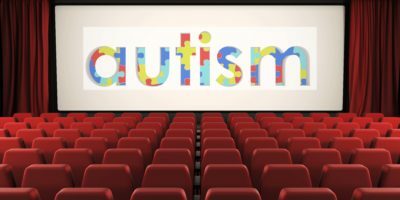 There have been numerous made-for-television movies as well as television shows with an autistic character, but there are too many of these to list. Most of the actors/actresses in the movies do a reasonable job of portraying a person with autistic traits. However, the majority do not provide an accurate description of the underlying cause of autism and may, in fact, either label a person as autistic who, given the circumstances presented, may not be, or fail to recognize the disorder and confuse it with another neurodevelopmental disorder. If you are aware of any other movies not included on the list, please let us know! From the Netherlands, the story of a Muslim man, Rizwann, who has Asperger’s syndrome and is detained by authorities after 9/11 when authorities mistake his odd behaviors for suspicious terrorist behavior. He later is helped by a therapist and begins a journey to meet US President Obama to clear his name. A love story between two savants with Asperger’s syndrome whose social disparities sabotage their budding relationship. This film is based on the story of Jerry and Mary Newport. The story of an autistic man living independently and functioning well in the real world until his life changes drastically when he becomes a father and is left to care for his small child. A girl with many autistic traits proves herself capable of living independently when she moves into an apartment and starts college. A brilliant 9-year-old autistic boy becomes a target for assassins after he breaks a top government code. An undercover FBI agent finds the boy hiding in his closet and protects him. This low-budget science-fiction drama, winner of a 1997 Toronto Film Festival prize for “Best Canadian First Feature,” depicts the plight of a group of people clad in prison-style uniforms and trapped in futuristic cube-like metal cells. One of the prisoners is Kazan, an autistic man. A best-picture winner presenting a comical view of the American experience from the 1940s to the 1980s as seen through the eyes of a man with some autistic traits. Gilbert Grape lives in a small town where nothing much happens. The town’s most interesting resident is Gilbert’s autistic brother Arnie. Stars: Dianne Weist, Harry Connick, Jr.
Fred is a genius with many Aspberger’s traits. His mother, Dede is determined to protect Fred from opportunists who wish to exploit his intellect. An interesting insight into the emotions of a child with autistic traits. A gangster, with apparent mafia connections, winds up taking care of his autistic son. The child displays many autistic behaviors, such as social withdrawal, does not speak, and rocks. A graduate student decides to help the child as well as help the father leave the mafia. Elvis plays a physician who runs a medical clinic in a poor neighborhood. Three nuns are sent to assist Elvis in his medical practice. A parent brings her girl to the clinic for an evaluation and treatment. The girl is diagnosed as having autism because she rocks, does not want to be held, and does not respond to sounds. Elvis treats the girl, and she begins to break out of her autism. Mark Lester (of Oliver fame ), plays Philip Ransome, a northern English boy about 10 years old, who has been mute since age 3. He spends his days roaming the moors alone. His parents despair of a cure. Gradually Philip emerges from his shell. But the way out is full of heartbreak and setbacks. A bright, young girl withdraws soon after her father is killed by falling off a cliff. She believes that by withdrawing socially and climbing tall structures, she will reunite with her father who she believes is near the moon. She exhibits many autistic characteristics, such as insistence on sameness, good coordination, lack of social interaction, and no language. At the end of the movie, the mother builds a circular tower which is similar to a tower the child built from playing cards. The mother climbs the tower with her daughter, and the girl comes out of her autistic-like state. A car dealer returns to his boyhood home soon after learning about his father’s death. His father left a large sum of money to a benefactor, who he later discovers is left to his autistic brother, Raymond. Raymond was institutionalized soon after his mother’s death because of the fear that he might accidentally hurt his younger brother. Raymond has many autistic features, such as perseverations, insistence on sameness, rocking, self-injury, and savant abilities. Throughout the movie, the car dealer gets to know his brother during a cross-country car trip. (Dr. Rimland was the technical advisor on this movie). An autistic child is lost during a camping trip and is befriended by a hermit. The child leaves the hermit’s house and is then faced with the dangers of the woods. He is later rescued. Twelve year-old Jamie Benjamin (Sammy Snyder) is a misunderstood lad. His classmates pick on him, his neighbors think he’s weird and his parents ignore him. But now Jamie has a secret weapon: deep in the woods he has discovered a deep pit full of man-eating creatures he calls Trogs…and it isn’t long before he gets an idea for getting revenge and feeding the Trogs in the process! A teenager with autism is sent to live with his uncle after his parents die in an airplane crash. The teenager exhibits many features of autism such as social withdrawal, no languge, and stereotypic behaviors. A girl who lives in a house next door befriends the teenager. Initially, she becomes his friend, but later she becomes his tutor. After much one-on-one contact, the teenager becomes more aware of other people and starts to show emotions. Because of his uncle’s alcohol problem, the teenager is sent to an institution. At the end of the movie, the teenager flew away to avoid being institutionalized. Snow Cake is a Canadian drama about a middle-aged woman with autism and the friendship she develops with a man who is traumatized after having a car accident involving her daughter. Sigourney Weaver researched her role, and was coached by autism author and speaker Ros Blackburn.